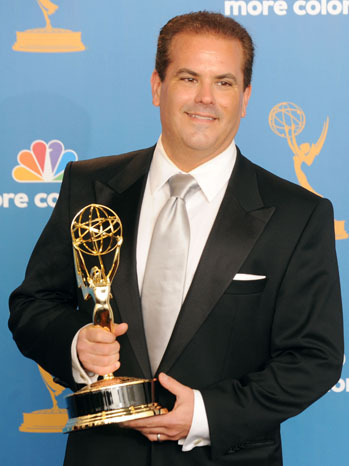 Emmy-Award winning screenwriter Adam Mazer will speak at Friday Forum on Feb. 24, at 11 a.m. in the Stoddard Center as part of Southern Virginia University’s Institute for Writing and Mass Media lecture series. A graduate of Syracuse University’s Newhouse School of Public Communication, Mazer moved to Hollywood shortly after college and entered the movie industry as a screenwriter with a specialty in film adaptations. Mazer is known for devoting years of research to a historical figure or notable person in order to fully capture that character’s essence in his screenplays. For one of his most notable screenplays, Mazer researched the life of Dr. Jack Kevorkian whom he depicted in, “You Don’t Know Jack,” an HBO Films production featuring an all-star cast. Research also played an important role in Mazer’s screenplay for “Breach,” a motion picture based on the true story of Robert Hanssen (played by Chris Cooper), an FBI agent convicted of spying for the Soviet Union for two decades. Mazer is currently working on the television adaptation of Jeff Benedict’s book, “The System: The Glory and Scandal of Big-Time College Football.” During his time at Southern Virginia, Mazer will lead a workshop on writing and storytelling and speak at an Institute of Writing and Mass Media dinner, in addition to delivering Friday’s forum. Southern Virginia faculty, staff, and students, as well as community members are invited to attend campus forums and devotionals each Friday morning at 11 a.m. in the Stoddard Center. Recordings of past forum and devotional speeches may be accessed on svu.edu.